Chain-link Fabric, which is also known as; Chainwire, Chainmesh, Chainwire Mesh or Cyclone Fence Wire and is the ideal fencing material for providing a practical and economical fencing solution to suit a wide range of applications, customer types and site locations. Otter Fencing has the latest automated German machinery to manufacture Chain-Link Fabric for the fencing industry in a wide range of heights and various coating types which can be used for various fencing applications including; Security, Boundaries, Cricket Nets, Tennis Courts, Sporting Grounds, High Screens, Storage Cages, Factory Partitions plus many more other versatile applications. Our Chain-Link fabric is manufactured in Australia from Onesteel® & Bekaert® wire which complies with AS2423 for guaranteed quality. Otter Fencing has the latest automated machinery to manufacture Chain-Link Fabric for the industry in a wide range of heights, diamond sizes and wire coatings, which can be used for various versatile applications such as; Security Fencing, Storage Cages, Tennis Courts, Sporting Grounds and many other applications to suit your specific requirements. 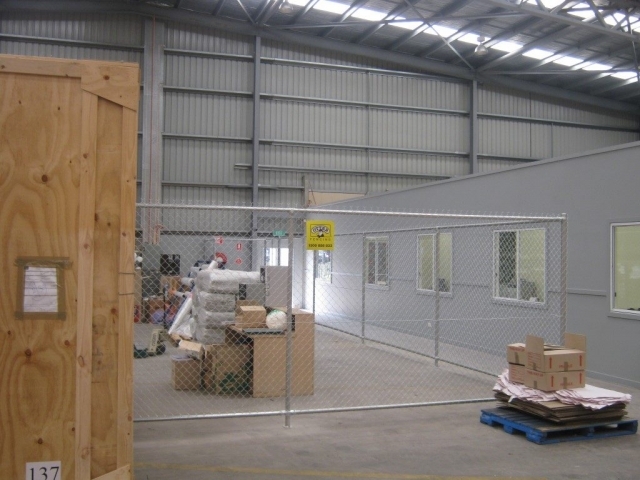 We Otter Fencing’s Chain-Link Fabric is manufactured from Australian made Onesteel® Wire and Bekaert Wire for guaranteed quality, with a choice of Standard Galvanized (W02Z), Heavy Galvanized (W10Z), P.V.C. coated wire in Black & Dark Green and Black Fusion Bonded wire for applications that require a higher durability. Standard Galvanized Wire (W02Z) & Heavy Galvanized Wire (W10Z) Standard Galvanized wire (W02Z) should not be mistaken or passed off for Heavy Galvanized wire (W10Z). Indicative figures from Onesteel® research reflect a life to the onset of red rust of greater than 4 times between Standard and Heavy Galvanized coatings in low corrosion environments. In wire used to manufacture for Chain-Link Fabric (2.50mm and 3.15mm diameter) there is a differential in coating mass of approximately 200g/m2between Standard and Heavy Galvanized Coatings. 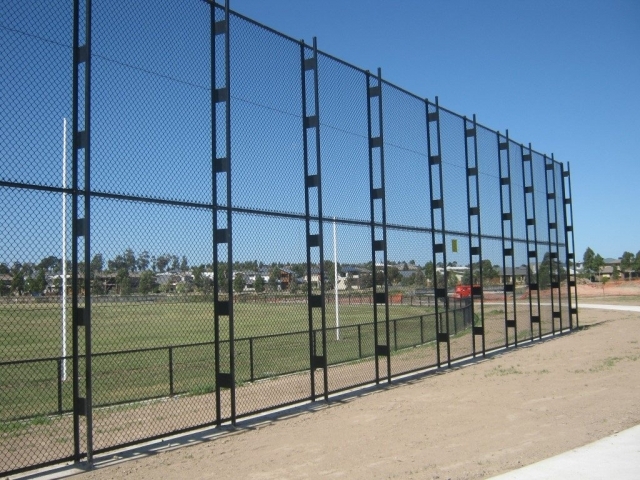 *The inferior metallic coating of Standard Galvanized coated wire (W02Z) does not meet the Australian Standard – Chain-Link Fabric Security Fences and Gates (AS 1725-2010). *Available in standard colours of either Black or Dark Green. P.V.C. coated wire diameters are measured and specified by the core base Galvanized wire diameter. *The outer P.V.C. coating provides for a decorative coating, but provides no extra strength or tensility. Fusion Bonded coated wire (*Available in Black). Fusion Bonded coated wire is a premium product due to the special way the PVC coating is bonded to the galvanized core wire by means of a primary adhesive. Fusion Bonded wire is also ideal for installation in areas that experience extreme weather conditions. Heavy Duty: is manufactured from 3.15mm dia. wire and is used in more durable applications. e.g. Security, Industrial and Sports fencing. Extra Heavy Duty: is manufactured from 4.00mm dia. wire and is used in more durable applications. e.g. High Security and Heavy Industrial. *Light Duty 2.50mm Chain-Link fabric provides for only approximately 60% of the load bearing capacity of heavy 3.15 mm Chain-Link fabric. *The pitch is measured diagonally across the diamond and is only a nominal measurement. According to AS2423 there is an allowable tolerance of +/- 4mm in the pitch size. 60mm pitch: has the least amount of wire per m2 out of the five (5) diamond (pitch) sizes and is normally used for budget fencing applications such as temporary fencing. 50mm pitch: is the standard pitch size of Chain-Link fabric and is used in most applications. 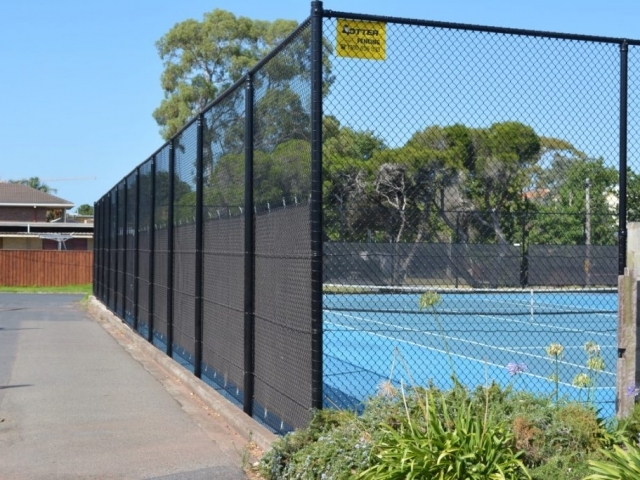 45mm pitch: is used for tennis court fencing and gates. 40mm and 32mm pitch: is used where a smaller pitch size is required e.g. animal enclosures or golf screens. NB: All stock items available with (KK) Selvedge as standard stock item. * Include option for (KB) as a standard stock item. BB is available but not as standard stock item.